يوفر فندق بولمان كيرنز إنترناشيونال ظروف إقامة راقية وهو خيار رائج للسياح ولرجال الأعمال أيضاً. يقع في منطقة شواطئ, سياحة, مطاعم من المدينة. لا يبعد الفندق كثيراً عن مركز المدينة، فهو يقع على بعد 0.2 km منها. في حين يستغرق الطريق منها إلى المطار حوالي 10 دقيقة. سوف يعشق النزلاء موقع هذا الفندق، فهو قريب من أهم المعالم السياحية في المدينة . ببساطة كل الخدمات وأساليب الضيافة التي تشتهر بها Accor Hotels تجعلك تشعر وكأنك في بيتك. هذه بعض الخدمات الموجودة في هذا الفندق: خدمة الغرف على مدار الساعة, خدمة التنظيف يوميًا, خدمة غسيل ذاتية, خدمة سيارات الأجرة, مجهز لذوي الإحتياجات الخاصة. يمكن للنزلاء الاختيار من ضمن مجموعة من الغرف المصممة بعناية لتعكس جواً من الراحة، والتي يتجاوز عددها 321. يقدم الفندق مجموعة رائعة من الخدمات كمثل حوض استحمام ساخن, مركز للياقة البدنية, ساونا, حمام سباحة خارجي, سبا، لجعل إقامتك تجربة لا تنسى. إن بولمان كيرنز إنترناشيونال هو مكان مثالي للمسافرين الذين يتطلعون إلى الراحة والاستجمام في المدينة. From the guys in Valet to Reception, House Keeping and Restaurant we love them all. So amendable, nothing was ever a problem. The kids wanted to live there, I adored the food it was so delicious and visually special. So accessible to everything around us. We just needed more time and better weather to do it all. Thank you Pullman! Pro : Convenient to night market and shopping centre. Staff are helpful Con : They charged parking for guest at $20 per day which I think is rediculous. We self drive while on holiday so we rather park along roadside. 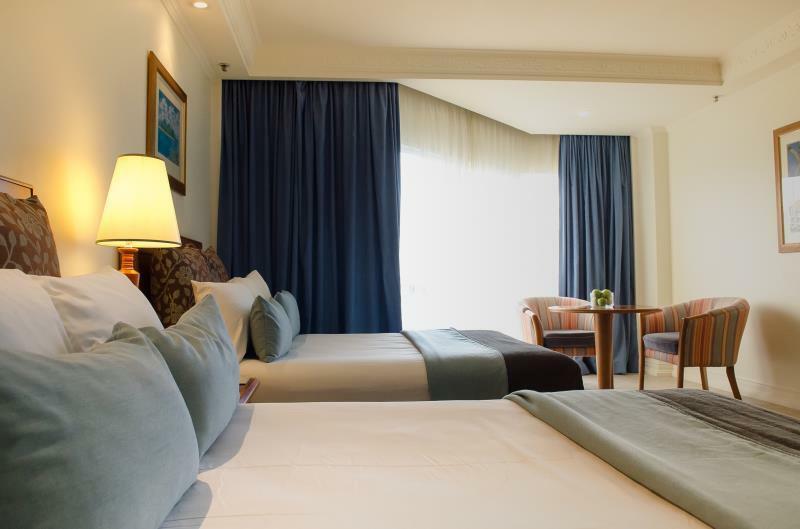 Large room, good balcony, large lobby with newspapers and comfortable seats. We received a very good deal so the value was amazing. This was Cairns first 4 star hotel,so it is older than others,but lots of character.Everything was very comfortable and relaxing.We arrived on a very early flight, very tired,and the staff did their best to have a room ready for us as soon as possible.I especially loved the large bathroom,and the sun streaming into the bedroom in the morning.One could easily walk anywhere in the CBD from there. Good location. Short walk to pier and the restaurant strip in town. Service is what is expected of 5 star hotels. Very reasonable price via Agoda for a superior quality hotel. My friend and I stayed for one night as we were transitting. 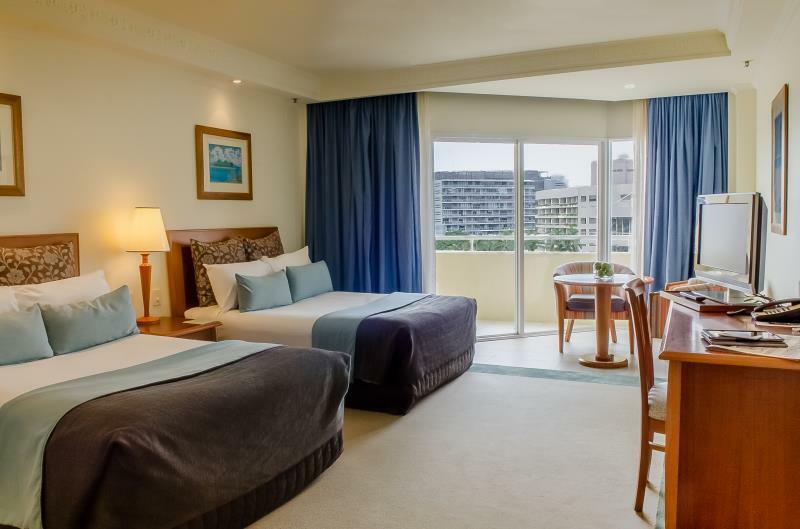 I have stayed here over the years when it was previously known as the Cairns International. Nothing has changed seemingly. Everything is what can be expected from a 5 star hotel, superior service and quality fit out. I can also attest that another collegue of mine asked for the Presidential Suite, however it was already taken. The staff went to great lengths to cater for him in the No.2 Suite (the name escapes me). Very luxurious as you can imagine. Both rooms were on the top floor (16th) and afforded wonderful views down through the "leads" (shipping lanes) and pleasant breezes. Overall an enjoyable experience. I don't know why anyone would bother staying anywhere else whilst in Cairns. Don’t get me wrong. The location, staff and the restaurant are top class. The rooms and facilities are a bit of a let down as it is stuck in the ‘90s. Gym and pool are basic. I have stayed at much more modern hotels paying that kind of rate. Location is good and staffs are very friendly. Thanks for your review Heejin! We appreciate your comments and hope to welcome you back again soon! The hotel is kinda old which you can tell from the sell and the carpet. However, the staff here are super helpful, and the location is good too. Probably will stay again next time visit. 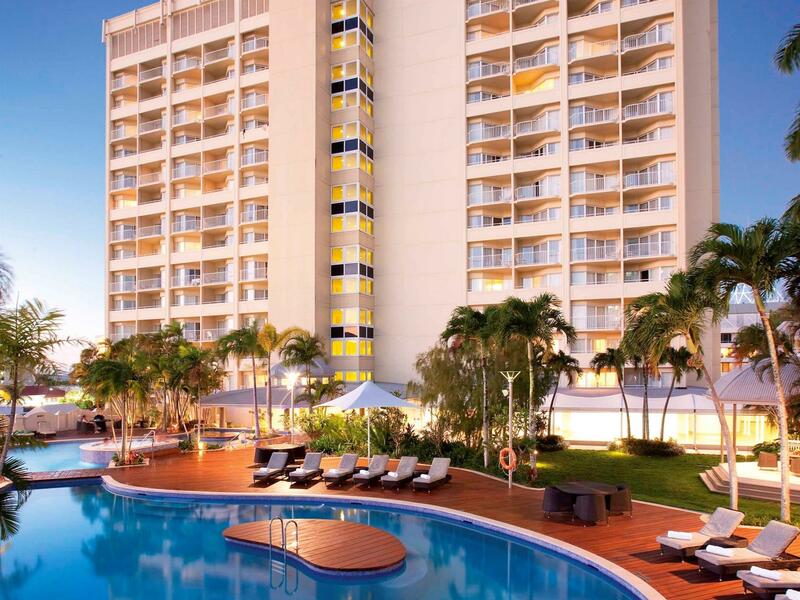 The Pullman Cairns was a good hotel but be careful booking through Agoda as this was a big mistake. They charged as well above market rates for a Double Queen mountain view (they buy rooms in advance and charge what they think they can make in profit - inflating the price). Even the hotel confirmed we paid an unusually excessive rate and suggested we should take it up with Agoda. Last time booking with Agoda. Staff were friendly and efficient. 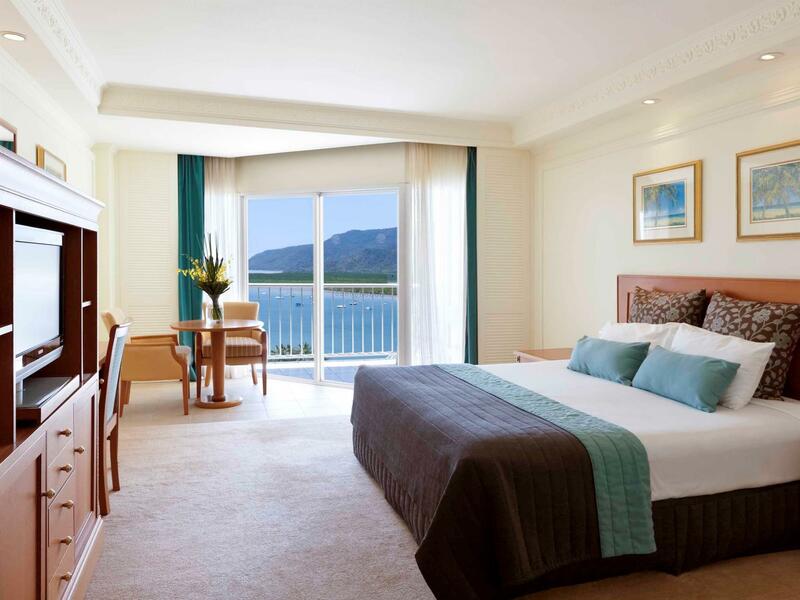 we were upgraded to an executive suite , which was very spacious and with good outlook to the mountains and the inlet. Breakfast was very well catered for with plenty of choices. our only criticism was the room cleaning over the weekend, the floors had the same pieces of thread on the floor 3 days running and wine stains on the bench for the same time. Both were cleaned on the Monday. Would definitely stay here again. Unfortunately too cool and too busy to use the pool which looked amazing. This is a lovely at the upper end of the medium-priced market. I booked it as a splurge to celebrate the last night of our holiday in the Cairns area and it was definitely worth it. 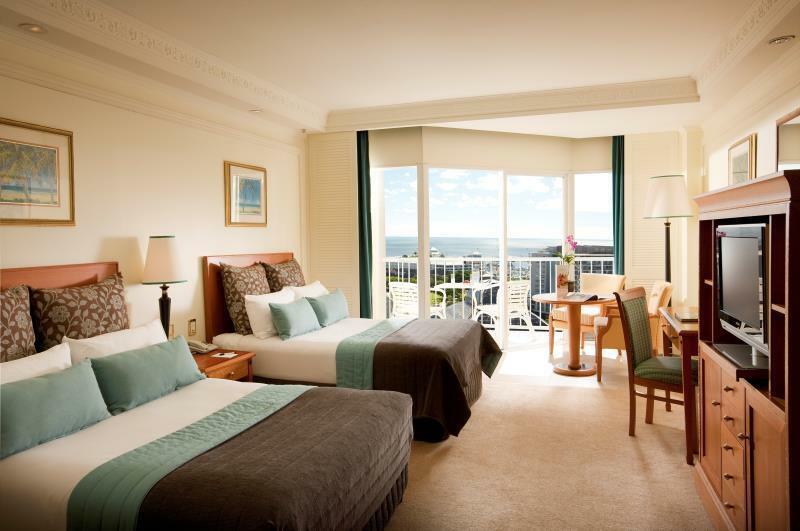 We were lucky enough to be upgraded from the room I booked, and enjoyed a suite on the 15th floor overlooking the Marina area, the Casino, and a even view out to sea. Staff were extremely efficient and friendly yet respectful despite our slightly rumpled appearance. If you can spare a few extra dollars, do yourself a favour! This place was great! 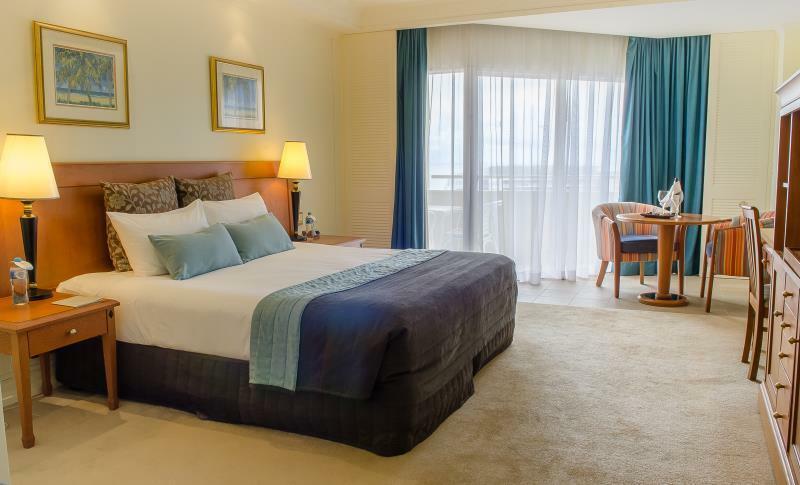 Spacious room with balcony views, comfy bed and in walking distance to shops and restaurants. Only negatives would be the swimming pool was cold. You won't be able to swim in it if it's not summer. Need solar heating which would do the trick in QLD. Also, $35 for a buffet breakfast, puhlease. Walked up the road to Re Hab cafe, at the rear of Orchid plaza and had a delicious eggs benedict with salmon and long black done properly! Old style rooms. I'd say it's 'classy old'. Was put in a room then told I had to move rooms because the telephone/tv line wouldn't work. Also gave my bag to the butler at approx 11am and was told my bag would be in my room when I checked in (at 2pm) and when I went to check in, my bag was exactly still where I left it behind the concierge desk. Small things but not the most professional. What a glorious surprise to walk into the foyer of this hotel and find luxurious space tastefully decorated with class and attention to discretion. The staff were really helpful and welcoming ensuring a smooth service. Our room in this slightly older hotel was tasteful and large - plenty of room to swing a number of cats. We loved it. We stayed in room 409 and it was very roomy and comfortable (only downside was that it faced the casino and could became noisy late at night). The staff were excellent, very helpful and courteous. Would recommend.